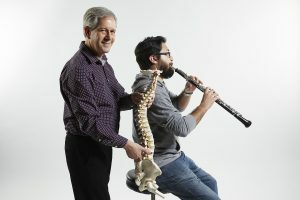 Caplan’s devotion to championing new American music for oboe culminated in his highly acclaimed solo recording, A Tree in Your Ear. This 1999 release surveys a wide variety of 20th century musical styles composed for the instrument, including blues, gospel, and electronica; it begins with music praised by the New York Times in which “the oboist Stephen Caplan engages in intricate call-and-response with a chorus of chirping frogs.” Caplan is described by Fanfare magazine as a “superb soloist, alternately plaintive and exuberant,” for his recently released recording of the Jean Francaix concerto, L’Horloge de Flore. 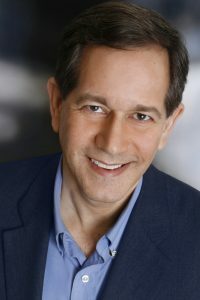 His recordings have been featured on NPRs All Things Considered, and Performance Today, and he has played in orchestras for the Latin Grammys as well as other international television broadcasts. Caplan has given solo recital and concerto performances throughout the US and Europe, and was recently awarded the Nevada Arts Council’s Fellowship Project Grant, resulting in a series of online videos of American music for the oboe.